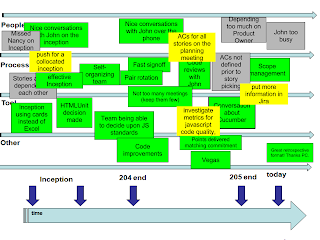 Below is a deck for a timeline activity I used on my last retrospective. View more presentations from paulocaroli. 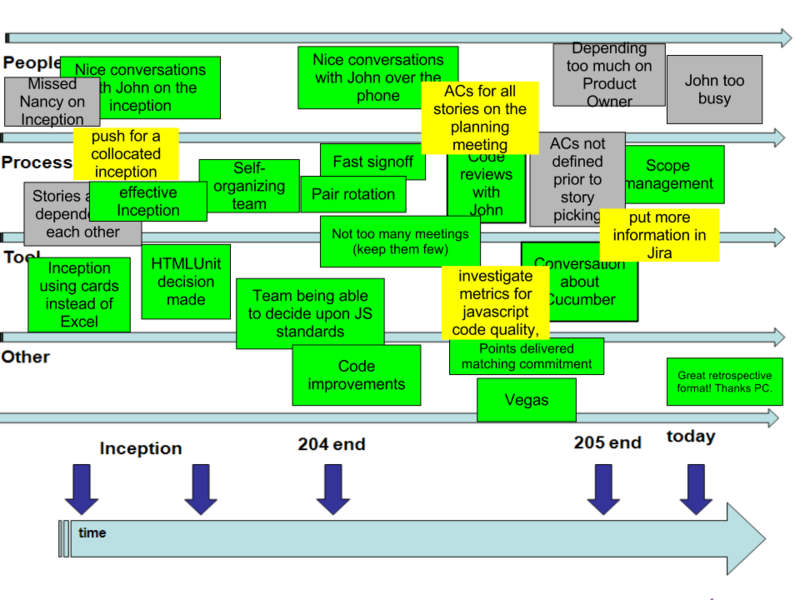 Previously I have used this approach for a collocated retrospective. I would draw a timeline on a white board, create 4 areas on the board (people, process, tools/technology, and other), and use two colors of notes (well – green /not so well - gray) to start with, followed by a third color for action items (yellow). I know that this may seem like an extremely dumb question, but what happened to Diablo as a whole? When I started playing when Diablo was first put out it was one of the greatest RPG's at the time Diablo 3 Gold and is one of the greatest of all time, Diablo II was an amazing game that really shined right through in all of the areas that we wanted it to as fans. Then comes May 15, 2012 I buy "Diablo" III, I have to wait until the 17th to play, and I almost cry. The skill system is completely nerfed and changed, the loss of jewels, runes, Diablo 3 Items and etheral items is almost laughable, and they continually change the classes to what they think they should be without a thought to those of us who play them. This piece of clothing proved to become versatile as it Chinese Clothing transformed plain-looking clothes into trendy and fashionable wear. You got a dream, you gotta protect it, people can't do something by themselves, they wanna tell you can't do it, if you want something, go get it, period EQ2 Plat, I love waking up in the morning and not knowing what's going to happen, or who I'm going to meet, where I'm going to wind up EQ2 Platinum, I konw you like this song most and I know what you are thinking about too, I miss you EQ2 Gold. The past is gone and static. Nothing we can do will change it.scarlet blade gold, the future is before us and dynamic. Everything we do will affect it rs gold, You laugh at mescarlet blade gold for being different , but I laugh at you for being the same.